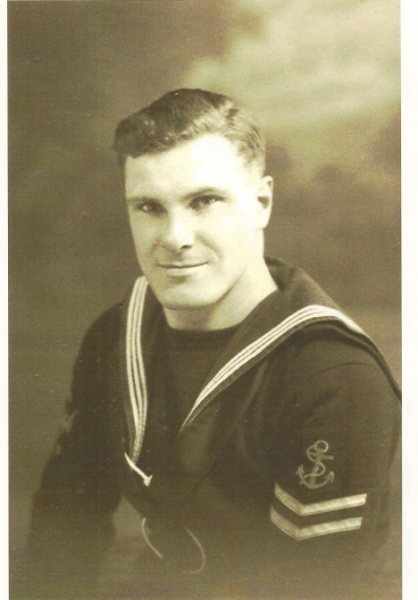 Petty Officer Telegraphist - William Bernard Noel Lynes D.S.M., (son of Harry and Florence Lynes), was known as Bernard or Bill to his mates and was born in a house near the Church in Middleton Cheney. His mother sold sweets in the little shop next door. Later, the family moved to the Tanyard, at the bottom of Glovers Lane – now known as Springfield House. He had been born on Christmas Eve 1911, hence his third Christian name – Noel. Bernard was a bright student at school and won a scholarship to Banbury School where he showed an aptitude for languages. His older brother was in the Navy and it was Bernard's ambition to follow him into the services. His language skills provided an ideal background for communications and Bernard became a telegraphist. In October 1937 Bernard and a friend visited Banbury Fair on one of his shore leaves and there he met a local girl who was just seventeen. Their romance blossomed and after a fairly long courtship, and a lot of ship to shore letters the couple were engaged when the girl reached the age of twenty one. During the war we believe he was involved in the Norwegian campaign. We think that Bernard was awarded his Distinguished Service Medal during this operation. Further investigation will confirm this. He is known to have served on also served on HMS AUKLAND, which together with HM Australian Ship PARRAMATTA, was escorting a small steamer - the PASS Of BALMAHA on 22nd June 1941. The Aukland was hit by sixteen dive bombers just off Tobruk and sunk and the crew who had abandoned ship were machine-gunned as they drifted in boats and skiffs, on rafts and some still in life belts. 164 survivors, including Bernard were rescued He was sent to a rest camp to recover from his ordeal and in August 1941 he was drafted to HMS Neptune. Bernard told his fiancée that they would visit Buckingham Palace on their honeymoon when he would receive his medal. On the night of 19 December 1941, there occurred one of the most extensive but least known naval disasters of the Second World War. The Cruiser HMS Neptune ran into an uncharted minefield in the Mediterranean off Tripoli, and sank with the loss of 764 officers and men. The three cruisers of 'Force K', the Neptune, Aurora and Penelope, supported by the destroyers Kandahar, Lance, Lively and Havock, were steaming south, in single line ahead on a dark, stormy night when at 0106am, the Neptune struck a mine. The Aurora was the next ship astern and hauled out to starboard but only a minute later she too exploded a mine; two minutes later an explosion beffeted Penelope's port side abreast the bridge. The Neptune going full astern hit another mine, which wrecked her steering gear and propellers, and brought her to a standstill. The cruiser force had run into a minefield in a depth of water and at a distance from land which made it utterly unexpected. As her company fought to save NEPTUNE during those perilous hours, there would have been many acts of gallantry and heroism that went unrecorded. 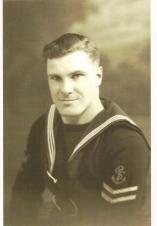 Bernard went down with his ship - just one man was rescued by an Italian torpedo boat, after 5 days in the water. Bernard's DSM was awarded posthumously, at Buckingham Palace. He is listed on the war memorial in Middleton Cheney and commemorated on Panel 52 of Portsmouth Naval Memorial, Southsea. "When our Mum heard that our brother Jim was "Missing, presumed killed" in World War Two she was devastated and wrote to every agency she could think of to see if she could find out what had happened to him. You see, there's always that element of hope when someone is listed as missing. 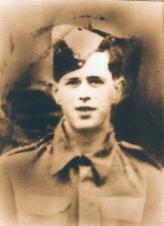 Jim died on Thursday 17th February 1944. He was 28 and married with two young children, his family lived at 93 Causeway in Banbury. We eventually found out that Jim was killed at Anzio, this was a tragic battle where the troops were landed on a solid rock beach where they were unable to "dig in" and find cover. The subsequent battle was later described as an obscene massacre with the German troops who were there stating, "It was like shooting fish in a barrel." Dad gave him a silver coin before he went away and told him that he had carried it for luck throughout the First World War and it had brought him back. He hoped it would bring his son home too." James Henry Bidwell (Jim) is commemorated in Florence War Memorial in Italy, hundreds of miles from Anzio and until recently the family could only wonder if their brother was wounded in the battle and transferred to a Casualty Clearing Station before he died. Recent research ( Parish Arhivist - 2009) has led to the discovery of an eye-witness account that Jim was, in fact taken prisoner of war on 17th February 1944 and while these soldiers were taken behind enemy lines they were attacked from the air. Jim was wounded in the back by a bomb fragment and was subsequently moved away with other wounded soldiers on a track vehicle. He was taken to a German hospital at Trespiano, just north of Florence but he sadly died of his wounds and was interred in the hospital cemetery. These graves were transferred to the Commonwealth War Graves Cemetery when it was established in November 1944. Gunner Ernest Charles Merry, Royal Artillery was the son of Alfred and Nellie Merry and the husband of Ivy Merry. He is commemorated in the war cemetery in Labuan, a small island in Brunei bay, off the coast of north-west Borneo. When apprehended, this man committed suicide rather than face questioning on his conduct in the Borneo camps. Village legend has it that Ernest had survived his time as a prisoner of war and was in the process of being repatriated and shipped home but fell as he boarded the ship. As he was so weak from the hardships he had endured in the camps he died of his injuries on August the 13th 1945 aged 35. Aircraftman 2nd Class Edwin Mold, son of John Thomas and Caroline Mold lived at number 7. Rose Hall Lane. 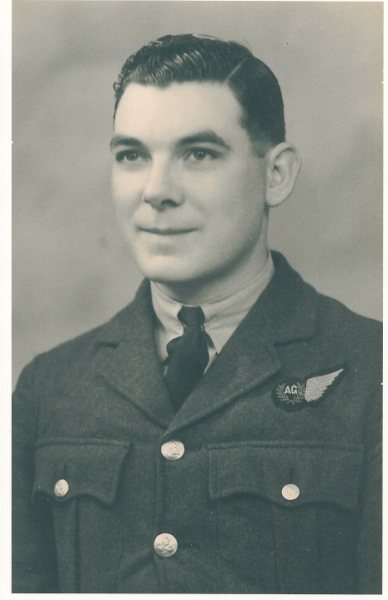 He attended Magdalen School in Brackley and applied to join the RAF without his parent's knowledge. His brother was present when Edwin announced the news to his mother and recalled, "She wasn't best please!" On completing his training as a Wireless Operator Edwin joined No. 4 Squadron and was stationed in France at Monchy Lagache near St. Quentin. At the time the Squadron was observing the German forces invading Belgium. The aircraft engaged in these operations were called Lysanders. Edwin and his Pilot, Peter William Vaughan (aged 20), were attacked and shot down by seven German Messerschmitts during the second battle on the River Grande Gette. Their plane crashed into a tree near a village called Outgaarden in Belgium. In 1943 the Squadron lost nine crews in less than fourteen days. The Burgomeister and a Garde Champetre, together with ten other men recovered the two bodies from the wreck the following day and buried them in their local cemetery. During their sad task the villagers discovered the aircraft servicing log (F700) and 660 francs belonging to AC2 Mold and they hid these items from the Germans. Both items were sent to the Air Ministry in November 1944, the money was returned to AC Mold's next of kin. Edwin had completed 1 year and 185 days on active service - he died on the 13th May 1940, aged 23. Private George Hawkes, of the 6th Battalion, Queen's Own Royal West Kent Regiment was the son of John and Elsie Hawkes, who lived at number 17, The Avenue. He had three younger brothers and an elder sister called Nellie. George's mother died when he was just six years old and Nellie, then aged eight, and the only daughter became 'surrogate mother' to her four young brothers. When George enlisted in the army his family were astounded. He was a quiet chap who, "Knew nothing about fighting" and hadn't been anywhere much. They were even more surprised when he told them that he had volunteered to go abroad. He was posted to Tunisia and killed within weeks of arriving there. Nellie remembered how devastated they were when they received a letter stating that George was, "Missing, presume killed." Nellie was certain that George must have given a false date of birth as she said he was only 18 years old although official records give his age as 22. Following his son's death, Nellie's father – John Henry volunteered to join the army and served in France, Germany and Holland before returning home. He had been discharged from the army in the First World War as he had been gassed. George is commemorated on the Medjez-El-Bab Memorial in Tunisia, he died on the 30th November 1942. Lieutenant Anthony Smith (full name Harold Anthony Warrington Smith), 1st Battalion, Scots Guards is listed on the Middleton Cheney War Memorial. He was the son of Sir Harold Smith K.C., M.P. and of Lady Joan Smith of Charlton, Oxfordshire. Anthony's father - Sir Harold, was the younger brother of F.E. Smith, First Earl of Birkenhead. Sir Harold and Lady Smith lived at Middleton House until Sir Harold died at a comparatively young age of cancer, when she moved into Lexton Lodge. Anthony was educated at Fettes in Scotland, which is presumably why he joined the Scots Guards. He was too young at the beginning of the war to join up, so he became a member of the Home Guard. As soon as he was old enough he joined the Scots Guards and first saw action in the Norwegian Campaign in 1940. He was a much loved only child and spent his short life in Middleton Cheney and Charlton. Anthony was killed just outside Florence, by a landmine on a road. 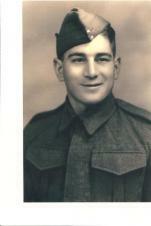 He was buried nearby in Florence War Cemetery, Italy on the 4th of August 1944 – he was 23. Second Lieutenant Horace Sydney Stroud Lester was the son of Horace Spencer Lester & his second wife Annie (nee Stroud), his parents lived in a large house called 'Sunloch' at number 121, Middleton Road. His father was a Bookmaker and had founded his fortune when he put everything, literally everything he had on a horse running in the 1914 Grand National, a rank outsider (odds 100 / 6), called Sunloch which fortunately won and made him a great deal of money. Horace was one of six children his brothers and sister being - Ernie, Spencer, John, Geoffrey and Joan. His mother's family were farmers and butchers in Banbury and they owned Mild May Farm which was located in Grimsbury. Horace and Annie were doting parents with no expense spared in their children's upbringing. They had elocution lessons, piano lessons and dancing lessons. They were always beautifully dressed for everyday, usually in matching outfits. Horace and his brothers and sisters had a rocking horse, Mecanno sets, beautiful books, everything you can think of. The brothers went to public school in Bloxham and no doubt Horace joined the O.T.C. (Officer's Training Corps) whilst he was there. When he went into the Army he was commissioned into The Inns of Court Regiment nicknamed "The Devil's Own", This regiment was an officer producing unit at Sandhurst and it is possible that Horace, known as "Hugh" to his army friends had been employed in the legal profession prior to the war. Alternatively his father may have used his connections as a Mason to gain his son entry into a 'good' regiment. 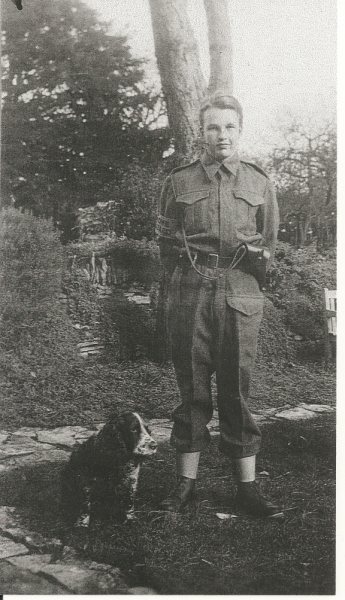 He married Rose (nee Webb), whose family lived in Drayton and in 1939/40 their first son, Paul was born whilst Horace was abroad serving his country. Rose Lesters' father had been one of the few people who were killed on the railway in Banbury when a bomb was dropped in World War Two (3). Although Horace belonged to a well-known Banbury family, he and his wife are listed in the Kelly's Directory of Banbury 1940, with the address given as Banbury Road, Middleton Cheney. This is the reason for Horace being commemorated on our village war memorial. His father, also named Horace was instrumental in leading the Red Cross fund raising campaign in Banbury, encouraging the local population to contribute thousands of pounds towards this very worthy cause. Towards the end of 1941 'OPERATION CRUSADER' was launched in Alamein, Egypt and Second Lieutenant Horace Lester was now serving with the 5thRoyal Tank Regiment (RTR). Morale was not good amongst the troops, following 'Operation Battleaxe' which had taken place in June. There had been nearly 1,000 casualties (122 killed, 588 wounded and 259 missing), and with 91 tanks being lost, nearly 81% of the British tanks were out of action within three days of the offensive starting. The Germans had lost just twelve tanks, by comparison. The Royal Tank Regiment's history described the offensive bitterly as "Battleaxe became a byword for blundering." Horace "Hugh" Lester was killed in action on Thursday 20th November 1941. His family recall that he died, "…just before Christmas, in his tank". Horace has no known grave but is commemorated on the Alamein Memorial in Egypt. He was 25 years old and never saw his baby son, Paul. 93,733 page views over twelve months, updated daily. HTML5 validated. WCAG compliant. Page generated in 0.0567 seconds.